Septuagenarian senior citizen, political activist (he's been arrested over 60 times), producer, director, and Golden Globe and Emmy Award-winning actor with 250+ credits on his resume, Ramón Antonio Gerardo Estévez (Martin Sheen) was born on August 3, 1940 in Dayton, Ohio. Sheen told the National Catholic Reporter in 2015 that he was the 7th son of 12 children born to his immigrant Catholic parents (he also has 3 sisters and 2 other brothers that died at birth); his mother Mary-Ann Phelan was from Ireland and his father Francisco Estévez Martínez from Spain. Ramón Estévez was lucky to survive his childhood; forceps used during his birth crushed his left arm, which is 3 inches shorter than his right arm; and he was bedridden for a year with polio. In an article by Martin Sheen (as told to to Charles-Edward Anderson) first published in Guideposts magazine, Sheen said he was already acting out characters from books at home by the age of 7. After his mother died when he was 11, his father never remarried and raised all the children on his factory worker salary as a single father, and with help from the Catholic church in Dayton. Ramón Estévez attended Catholic elementary and high schools in Dayton, performing in plays and earning spending money as a golf caddy so he could go to the movies. After graduation he borrowed money from a priest so he could move to New York City to become an actor. Estévez worked odd jobs while trying to break into acting work. At age 18, feeling his name sounded too ethnic, he began using the name Martin Sheen for professional reasons, thinking it sounded more main stream (and Irish). A friend who was also a drama coach and CBS casting director - Robert Martin - and the Catholic archbishop and radio personality Fulton Sheen inspired the new name. Ramón Estévez has never legally changed his name to Martin Sheen. In those early years in New York, Martin Sheen meet and became a co-worker with Catholic activist Dorothy Day and discovered a passion for social justice, and among other causes he supported the Cesar Chavez farm worker movement in California in 1965. Sheen also met art student Janet Templeton in 1960, who was also from Ohio, and when they married a year later in December 1961, he was just 21 years of age. Janet and Martin Sheen's first son, Emilio Estévez was born in May 1962, soon followed by their second son, Ramon Estévez (b. August 1963), Carlos Estévez (later Charlie Sheen) (b.September 1965), and daughter, Renée Estévez (b. April 1967). 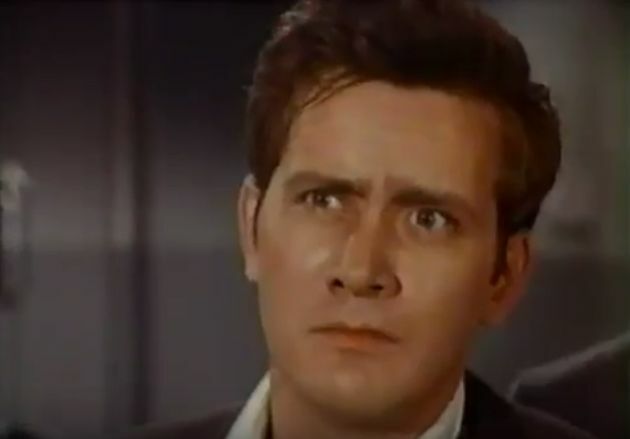 In 1964, Martin Sheen appeared in two Broadway productions - Never Live Over a Pretzel Factory, and as son Timmy Cleary in The Subject Was Roses (1964), for which he was nominated for a Tony Award for Best Featured Actor in a Play. The adapation of the stage play into the movie The Subject Was Roses (1968) starred Patricia Neal (d. 2010) and Jack Albertson (d.1981) as married couple and parents (Nettie and John Cleary) to their son (Martin Sheen), a veteran returned to his Bronx home after World War II. Both Jack Albertson and Martin Sheen reprised the roles they had played in the 1964 Broadway production of the stage play, and Sheen was nominated for a Golden Globe Award for Best Supporting Actor. In 2010, 46 years after first appearing on stage in The Subject Was Roses septuagenarian senior citizen Martin Sheen once again appeared in The Subject Was Roses, this time in Los Angeles - playing the father instead of the son. Sheen began to find episodic work on television with small roles in popular baby boomer series in the 1960's such as Route 66, My Three Sons, Flipper, and Mission: Impossible. He also found recurring work on the daytime soap operas, appearing on As the World Turns as the character of Jack Davis from 1965-1970, and as Roy Sanders in The Edge of Night in 1967. By the end of 1967 Sheen's career was picking up significantly both on stage and screen. He was in the off-Broadway plays The Wicked Cooks (1967), Hamlet (1967), Romeo and Juliet (1968), and Hello and Goodbye (1969). In addition to all the television and stage exposure, Sheen made his big-screen movie debut in the New York crime movie The Incident (1967), appearing along with young actors Beau Bridges and Donna Mills (Knots Landing) in her second feature film. Throughout the early 1970's, Sheen continued to guest star in episodes of popular television series beloved by baby boomers - shows like Hawaii Five-O, Ironside, Mannix, The F.B.I., The Rookies, Bracken's World, Love, American Style, Cannon, Columbo, and The Streets of San Francisco; but after 1973 his zooming career saw his TV presence primarily limited to movies and mini-series. In the summer of 1972 Martin Sheen began filming the movie Badlands (1973). Made on a budget of only $300,000 by screenwriter, director, and co-producer, Terence Malick, Badlands starred Martin Sheen as a 1959 killer on the run through the badlands of Montana with his girlfriend (actress Sissy Spacek). Two of Martin Sheen's young sons, Charlie Sheen and Emilio Estévez, had uncredited roles in the movie as "Boy Under Lamppost", as Terence Malick had a cameo as "Man at the Door"; they would each work with their father again, multiple times. Badlands has continued to be critically acclaimed, and more than 25 years later Sheen said it was still the best script he'd ever read. Below, Martin Sheen, Warren Oates and Sissy Spacek are featured in in the movie trailer for Badlands. "It was about two people who adored each other, and they weren't allowed to have a relationship that involved their sexuality...I'd robbed banks and kidnapped children and raped women and murdered people, you know, in any number of shows. Now I was going to play a gay guy and that was like considered a career ender. Oh, for Christ’s sake! What kind of culture do we live in?" Martin Sheen co-starred in the action-mystery TV movie The California Kid (1974), along with young actor Nick Nolte. Set in 1958 California, a disturbed Sheriff (Vic Morrow, d.1982) pushes speeders and their cars off the mountain. Sheen's younger look-alike brother Joe Estévez plays one of two Navy sailors on leave who are victims of the Sheriff in The California Kid. Sheen is a stranger in town that clashes with the Sheriff, then is revealed as the brother of one of the sailors; he investigates with the help of actress Michelle Phillips (as Maggie). Martin Sheen and his character actor brother Joe Estévez have since appeared in several more productions together; as of 2016, Joe Estévez has a remarkable 275+ acting credits, surpassing his more well known brother Martin Sheen. Below, the ABC TV Movie of the Week promo clip for The California Kid features cool vintage cars and co-stars Vic Morrow and Martin Sheen. In the TV docu-drama The Missiles of October (1974), Martin Sheen played President John F. Kennedy's (William Devane) brother, Robert F. Kennedy. 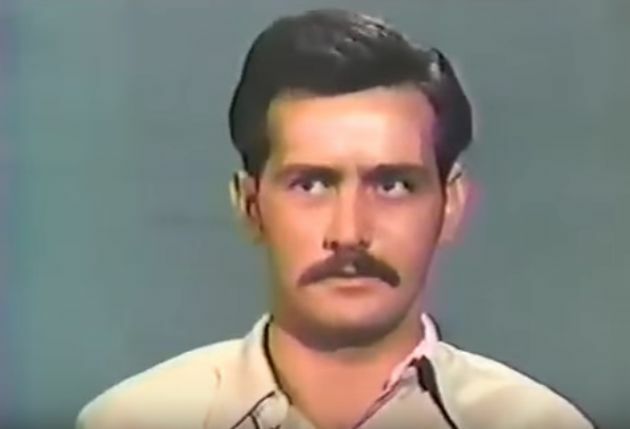 That same year, Martin Sheen starred as World War II Private Eddie Slovik, the only American solder to be executed for desertion since the Civil War. The docu-drama The Execution of Private Slovik (1974) cast included Sheen's son Charlie Sheen, Ned Beatty, and Gary Busey. Martin Sheen was nominated for an Emmy Award as Best Lead Actor in a Drama for his performance in The Execution of Private Slovik, but made it clear he would refuse the award because he didn't think actors should be compared. In 1975 Sheen returned to Broadway in the play Death of a Salesman, and his romantic drama movie Sweet Hostage (1975) co-starring Linda Blair was released. In Sweet Hostage (1975), Sheen plays a mental patient on the run who kidnaps a farm girl and becomes her lover. Below, Linda Blair and Martin Sheen are featured in the movie trailer for Sweet Hostage. The disaster-thriller movie The Cassandra Crossing (1976) starred screen legends Sophia Loren, Richard Harris (d.2002), and Burt Lancaster (d. 1994), with Martin Sheen as a heroin trafficker and the younger lover of actress Ava Gardner's (d. 1990) character. Despite the all-star cast, the The Cassandra Crossing was a critical flop. That same year Sheen appeared in French-Canadian drama-thriller The Little Girl Who Lives Down the Lane (1975) with child actor Jodie Foster, and Scott Jocoby (from That Certain Summer) in his second movie with Martin Sheen. Sheen earned another Primetime Emmy Award Outstanding Lead Actor in a Miniseries or a Movie nomination for his role as taxi-driver to passenger (Eva Marie Saint) in the TV movie Taxi!!! (1978). The leading role which catapulted Martin Sheen into movie stardom was that of special ops officer Captain Benjamin L. Willard, in director Francis Ford Coppola's Vietnam war movie Apocalypse Now (1979). Considered one of the greatest movies ever made, Sheen's Apocalypse Now co-stars included Robert Duvall, heavyweight (literally) actor Marlon Brando (d. 2004), Harrison Ford, Scott Glenn, and Dennis Hopper (d. 2010). Son Charlie Sheen once again had an uncredited role as an extra, and 14-year-old actor Laurence (Larry in the credits) Fishburne lied about his age to in the movie. Over 15 years after Apocalypse Now, Sheen would appear again in movies with both Harrison Ford (One Hundred and One Nights, 1995) and Marlon Brando (Free Money, 1998); and he has worked several times with son Charlie Sheen and Laurence Fishburne. Actors Steve McQueen and Al Pacino passed on the role of Willard, so filming began in March 1976 with Harvey Keitel as Captain Willard. Soon after, Coppola wasn't happy with what he was seeing; Martin Sheen had screen-tested for The Godfather and impressed Coppola at the time, so Coppola convinced Martin Sheen to accept the part and Keitel was out. The planned 14 weeks of filming on location in the jungles of the Philippines didn't wrap up until almost 14 months later. Below, a short clip from Apocalypse Now featuring Martin Sheen as Captain Willard, decompensating in his room. Martin Sheen has said that despite having his wife and family go on location with him for Apocalypse Now, he - and consequently his family relationships - were under immense stress during filming. Aside from all the difficulties the cast and crew encountered, Sheen was an alcoholic at the time, and internalized his character's dark nature. Sheen told Guideposts that he had gone to his isolated rental cabin alone (Janet had gone ahead to a hotel in Manila where they were to meet the next day) at the end of filming on the day of March 4, 1977. He was 36 years old, but not in the best of shape when filming had begun; he felt physically and emotionally exhausted. Unable to sleep, he tried walking around but was off-balance and finding it hard to breathe; after returning to bed, he woke up sweating at 3 am and felt a pain down his right arm. Sheen fainted, then came to and felt an "explosion of pain" in his chest, but, too weak to stand and walk properly, he alternately crawled and stumbled outside the cabin while a windstorm raged, trying to make it to the road. Despite only being 36 years old, Sheen realized he was having a heart attack, the same thing both his parents and two older brothers had died from, and thought he would also die. After Sheen also lost his sight, a security guard finally came across him and drove Sheen to a small nearby clinic where a doctor provided emergency care, and a priest administered the last rites. Martin Sheen was put on a prop helicopter and flown through the storm to a hospital in Manila. "Love is the true foundation of happiness. Love of family, love of people, love of God. In the years since that painful night, Janet, our children and I have grown closer and happier than ever. I have long since returned to my church. I have never forgotten that even though I turned my back on God, in my time of greatest need, he came to find me." Sheen was nominated for a BAFTA as Best Actor in a Leading Role for his performance in Apocalypse Now. Before the 1970's were over, the television mini-series Blind Ambition (1979) saw Martin Sheen starring as John Dean, special counsel to President Richard Nixon (actor Rip Torn). His Blind Ambition co-stars included William Daniels as G. Gordon Liddy, Michael Callan as Charles Colson, Alan Oppenheimer as George Simonson, Fred Grandy as Donald Segretti, and Theresa Russell as Maureen Dean. Sheen was nominated for a Golden Globe Best Actor-Television Series Drama Award for his performance in Blind Ambition. How Often Has Martin Sheen Played Father or President?